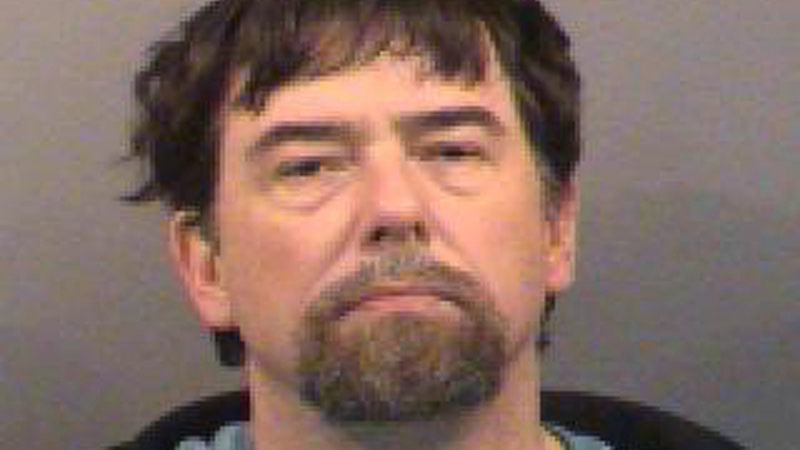 Wichita Man Sentenced To 20 Years In Airport Bomb Plot : The Two-Way Terry Loewen, who pleaded guilty to attempting to drive an explosives-laden vehicle and detonate it at an airport in Wichita, Kan., has been sentenced to 20 years in federal prison. A file photo provided by the Sedgwick County, Kan., Clerk's Office shows Terry Lee Loewen, who was sentenced to 20 years in prison Monday. Terry Loewen, who pleaded guilty to attempting to drive an explosives-laden vehicle and detonate it at an airport in Wichita, Kan., has been sentenced to 20 years in federal prison. Loewen, an avionics technician, had an employee access card at the airport. Loewen was arrested in 2013; investigators said he spent months planning his attack, discussing his work with what he thought was a group of conspirators — but was actually a team of undercover FBI agents. "In June, 60-year-old Terry Lee Loewen pleaded guilty to one count of attempting to use a weapon of mass destruction. Prosecutors asked for the 20 years, noting that they could have gone for a longer sentence but felt this would be appropriate given Loewen's age. "Loewen was an avionics technician and had restricted access to secure airport areas. He was arrested during an undercover FBI operation in December 2013 when he tried to bring a van filled with what he thought were explosives onto the airport tarmac. "Loewen caught the attention of the FBI when he became Facebook friends with an individual who regularly posted information supporting violent Islamist extremism." The Wichita resident had attracted notice after posting online that he wanted to commit "violent jihad" against the U.S., investigators said. An undercover FBI agent eventually helped Loewen assemble a fake bomb; he was arrested two days later. Loewen had been facing a potential life sentence.